Ricky Evans is a self-taught North Carolina artist and photographer. 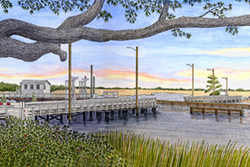 His name became synonymous with lighthouses along the Southeastern U.S. coast after he launched his first pen-and-ink originals and prints in 1989. He began with the beacons of the N.C. 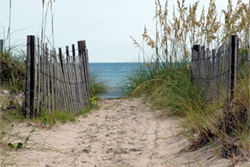 Outer Banks and soon expanded to the lighthouses of South Carolina, Georgia, and Virginia. 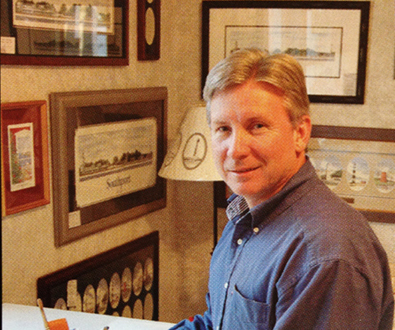 Ricky’s love of history and the sea has led him on to create a collection of regional waterfront panoramas, a series of local Southport landmark views, and custom renderings of the sailboats so popular in the area. All of this would not be possible without his keen photographic eye — Ricky now includes fine digital photography in his repertoire, capturing the charm of his local environment for canvas prints and elegant posters. 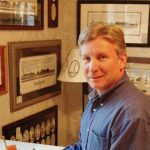 Click below to see Ricky’s paintings or photographs.